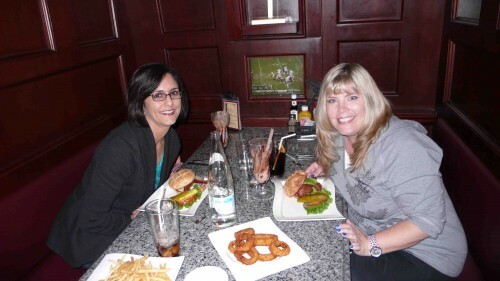 My friend Sheila and I visited Hubert Keller’s Burger Bar when we recently stayed at Mandalay Bay. The 140 seat restaurant offers guests the ability to make their own burger with dozens of choices of toppings, cheeses and different types of protein. 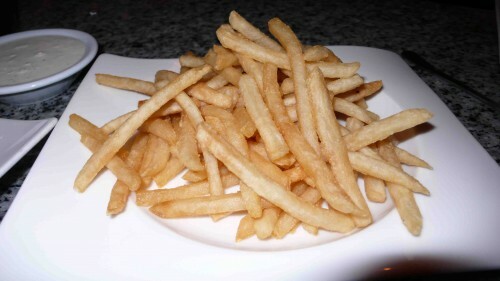 Diners can choose from Kobe beef, Colorado lamb, turkey, Black Angus beef and vegetarian among other choices. Toppings can include bacon, fried egg, prosciutto, ham, foie gras, grilled lobster and other offerings. 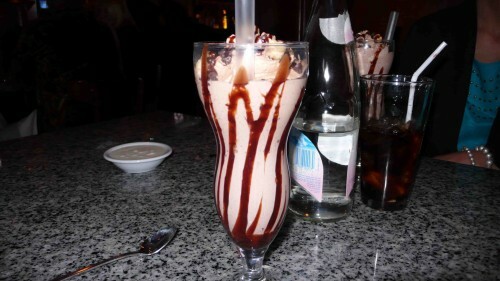 We started by splitting this yummy espresso shake. Yum. 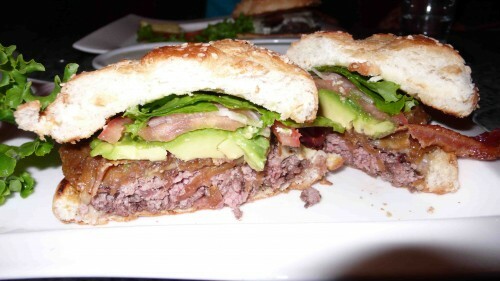 I ordered the Kobe burger with onions, avocado and bacon and Sheila got the American Classic with the basics. Here are our burgers. 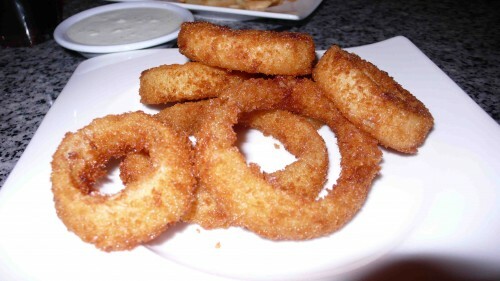 We also got buttermilk onion rings and fries. Both were really crispy and good. 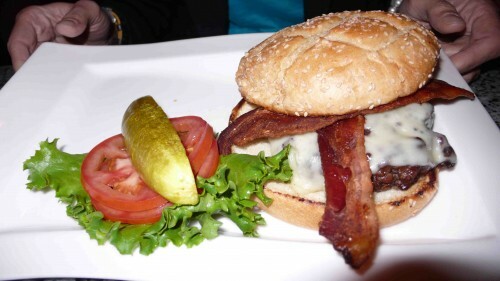 Any burger lover will enjoy a stop at Keller’s Burgar Bar, which also has locations in San Francisco and St. Louis. If you are in Vegas, head to Mandalay Bay.